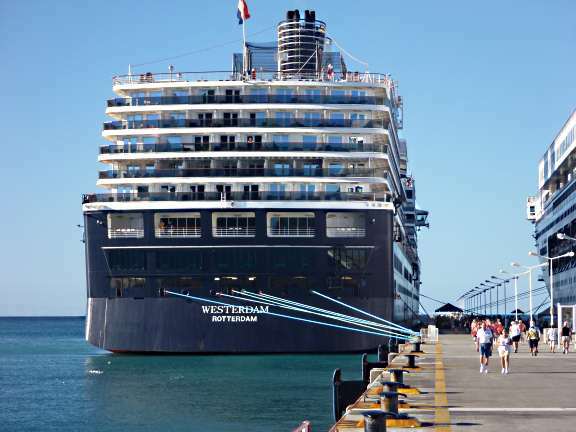 Westerdam docked in Phillipsburg, Sint Maarten, on the Dutch side of the smallest island in the world shared by two countries. 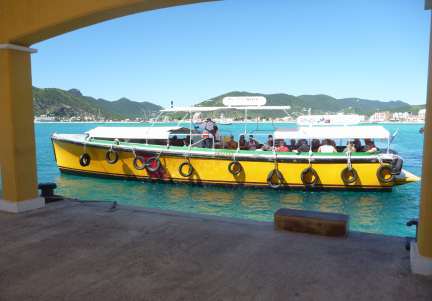 Saint Martin, the French side, covers about 2/3 of the land, but the Dutch side has more people, an international airport, and a cruise ship dock. At Maho Beach, across the street from Princess Juliana Airport, tourists take close-up photos and videos of the underside of 747’s as they land. Tintamarre, which took most of our time on the island. The boat docked about half an hour before we had to meet the group for the excursion so we hurried ashore to look around. We found a cute little street leading to a row of shops near the dock. All operated on island time, which means they don’t open early when ships are in port. 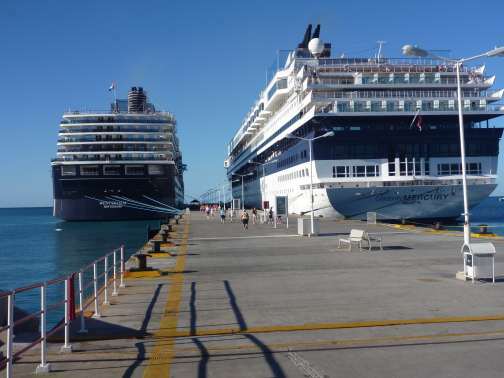 We docked next to a Celebrity cruises ship, so they lost the opportunity to sell to two boatloads of people. We did find one shop open right by the dock, but it only sold sundries, candy, pop and cheesy souvenirs, nothing we found interesting. We took a few photos and went back to meet our group for the snorkel trip. first the celebrity ship appeared bigger, then the Westerdam looked far larger. It all seemed to depend on the angle we saw them from. I still don’t know which one actually was biggest, but odds are they were close to the same size. The Saint Martin we sailed past, full of homes of all sorts and sizes, looked nothing like the island Columbus discovered in 1493 on the holy day of Saint Martin of Tours. He called it Isla de San Martin, claiming it for Spain. The island has a long and bloody history both before and after his discovery. The sailboat returned with just enough time for us to run and catch the water taxi for a quick look around the main shopping area of Phillipsburg. 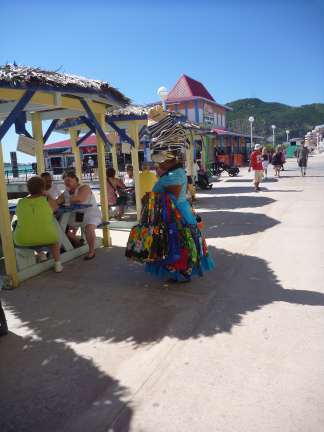 We didn’t have time to visit the casino or enjoy the beautiful white sand beach, but we did wander through town a bit and scope out a few of the numerous jewelry stores. 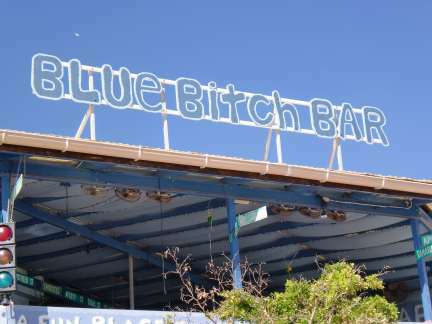 beaches, fine dining, and designer shops. The story of how the French got the lion’s share of the island says that back in 1648 a Frenchman and a Dutchman each walked opposite directions around the island and drew the dividing line from where they started to where they met. The subsequent treaty still stands, though between then and now the island changed hands many times before reinstatement of the treaty in 1816. Current visitors to the island have nothing to fear from the pirates and warring nations of the past, but I do know someone who was there when a hurricane hit the island. Though he would not like to repeat that experience,it did not stop him and his family from returning to the island they love nearly every year. 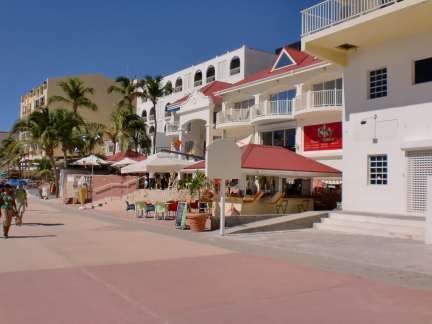 We would like to return for a longer visit someday and see a lot more of Saint Martin. It has activities of all kinds and much to see. Another advantage of cruising, besides the fun of the cruise itself, people get a chance to sample a variety of places so they know which merit a longer visit. 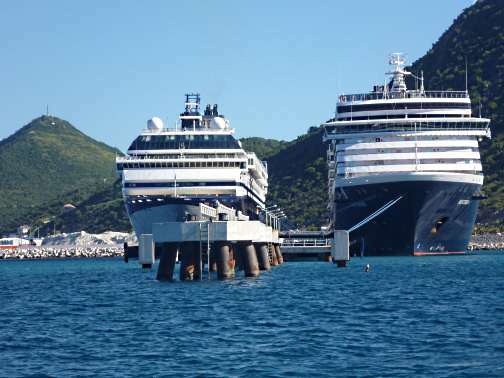 This entry was posted in Caribbean, Holland America, Port Cities, Ports of Call, Westerdam and tagged Caribbean, cruise, Holland America, Phillipsburg, Saint Martin, Sint Maarten, water taxi. Bookmark the permalink. 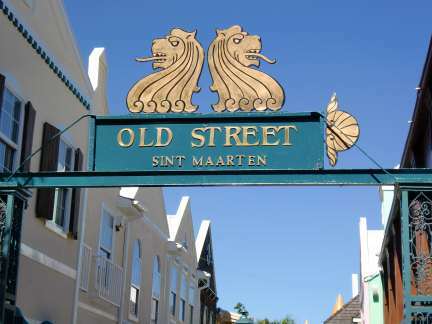 Map of Saint Martin.Saint Martin is an island split between French and the Dutch territory of Sint Maarten formerly part of the Netherlands Antilles but now a constituent state of the Kingdom of the Netherlands . 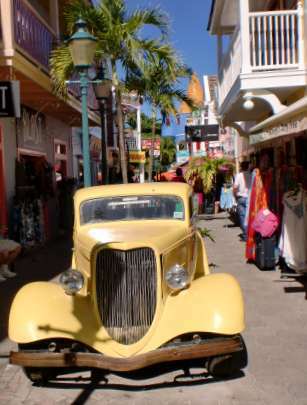 .The northern French side of the island is known as Saint-Martin and is 21 square miles. 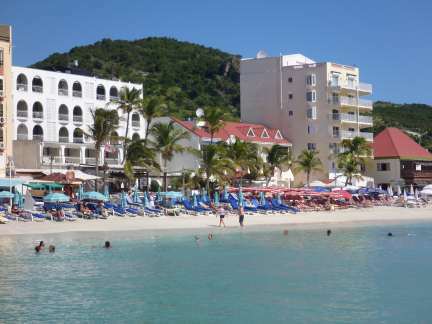 The southern Dutch side of the island is known as Sint Maarten and is 16 square miles.